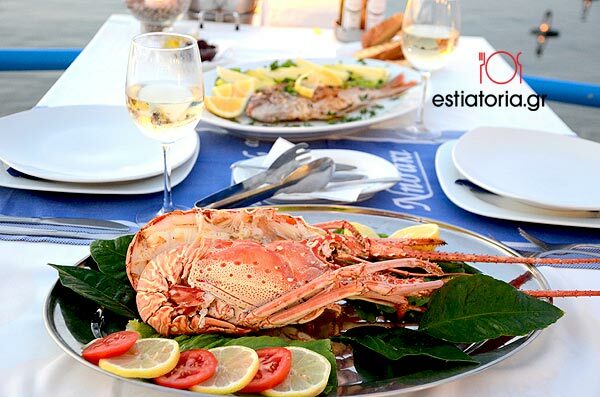 Our seafood restaurant’s philosophy is to serve wonderful tasting seafood dishes made from the freshest ingredients. Every day the island’s fishermen catch fresh fish and shellfish, and we make them into richly flavoured and highly nutritious dishes for you to enjoy. These dishes combine various flavours which remind us of the sea, and of the best of our grandmothers’ cooking. All our meals are made with loving care and with respect for the gifts of the sea. Despite the times, we maintain the high quality of the dishes on our menu and keep our prices stable so you can enjoy your favourites without having to spend a small fortune. Often, our customers all make friends with each other as they enjoy the dishes we serve next to the sea, while the cool breeze tempts them to loose themselves in contemplation of the peace and tranquillity of our Rhodian hospitality. So, the philosophy behind our business is: the best, specially chosen ingredients.